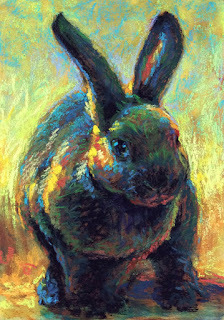 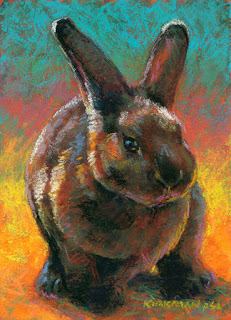 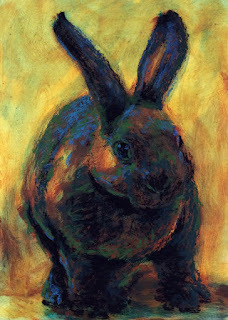 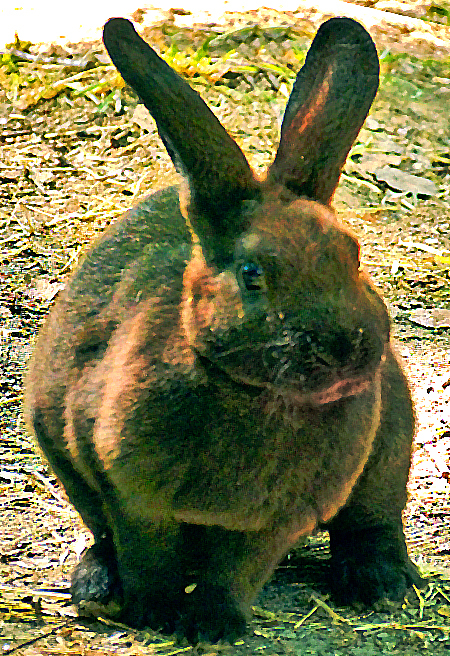 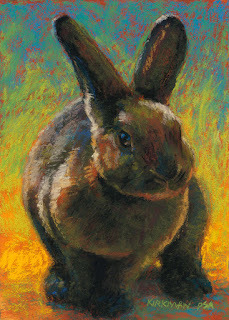 "Hennabun" (pastel, 7x5 inches) $200 unframed for a limited time, or $265 framed. 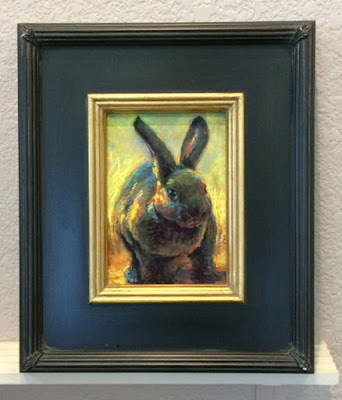 I sometimes enjoy using a photo reference more than once. It's hard not to when the pose and the light make a dynamic composition! 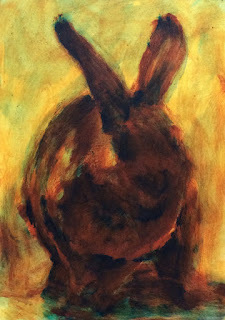 I've painted this one three times now. 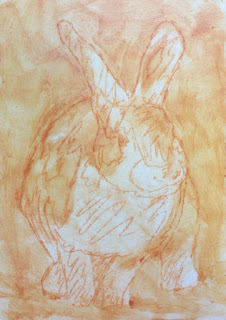 I used a bit of my new blue primer on Hennabun's underpainting!